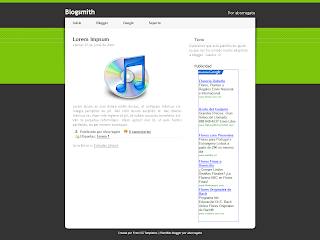 Blogumus: a flash animated label cloud for Blogger! "Blogumus" is an Flash based tag cloud widget which uses scripts converted from Roy Tanck's WP Cumulus plugin for Wordpress. I fell in love with Roy's original Cumulus plugin when I saw it, and simply had to learn how to convert this for use in Blogger powered blogs. The result is the widget you can see in action at the top of this post. Hover your mouse over the Flash object to see the animation begin. In this post, I'll explain how you can add Blogumus to your own Blogger layout with ease! 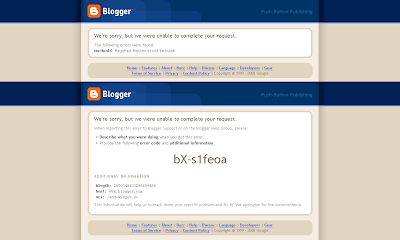 Due to hosting issues, Blogumus has stopped working for those who had previously installed using these instructions. I've resolved the hosting issues by uploading to Google Sites and have edited the following tutorial for installation accordingly. Unfortunately, this does mean you'll have to reinstall your Blogumus widget or change the URLs to the swfobject.js and tagcloud.js files in your template code in order to ensure your widget works properly again (new installations should work just fine). If you'd like to reinstall this widget, you can delete the Blogumus gadget from within the Layout>Page Elements section of your Blogger dashboard and use the instructions below to add it again. You can preview your template to ensure you've made no mistakes before saving, and your updated code should display the tag cloud in your blog. Sincere apologies for the inconvenience this may have caused! I have updated the code required to run this widget to activate links in the tag cloud Flash movie. If you have already installed Blogumus, please replace your widget code with the new updated code, or reference the additional lines to modify your existing installation. This week, I seem to have had a great spurt of creativity, and now have quite a few new tutorials/templates in progress which I have not yet had time to document! Those of you who follow my updates on Twitter may already have some ideas of what's in store for Blogger Buster over the next few weeks. In any case, I am so excited about some of these new developments that I feel I ought to write a quick update to offer some insights of what I'm working on, and when these projects may become available as tutorials. I have two (possibly three) new templates which are almost ready to be released. These are original, "made for Blogger" designs which I hope to perfect and upload within the next week or two. I've taken a lot of inspiration from grid based designs for these new templates: the first is a minimalist template (with many options for customization), while the second is much more stylized and color-rich. As some of you may have noticed, I'm still experiencing problems with my file host, though once I've been able to move everything over to the new server, I'll be able to complete and distribute these themes. I've always envied the Wordpress function which allows bloggers to display a "sideblog" in the sidebar (a list of posts separate from the main section which often refer to recommended links or very short updates). Luckily, I've managed to tweak the Blogger template code to allow certain labels to be filtered from the main display of posts on the homepage. 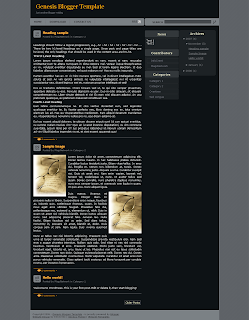 This will enable us to display these particular posts as a "sideblog" in the sidebar without being replicated elsewhere on the page. For over a year now, I've been using Ramani's excellent hack to display excerpts of my posts on the homepage of Blogger Buster. However, I must admit that this has never satisfied my desire to display a true excerpt (based on the number of words/characters) which does not rely on editing the HTML code for each post. With permission from Roy Tanck (the original author of this plugin) I hope to write a tutorial about this very soon. I hope you may find these forthcoming tutorials to be useful for your own blogging needs! Don't forget to subscribe to Blogger Buster to learn when these tutorials become available. Please do let me know your thoughts on these customizations, or indeed any other experimental features you'd like me to attempt by leaving your comments below. 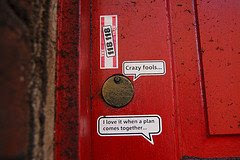 Blogger have added a new feature for us to use in our post: Reactions. This widget acts like a mini-poll beneath each of your blog posts and offers the ability for readers to leave feedback quickly. The "Reactions" add-on is currently available through Blogger in Draft, though looks set to be moved over to the regular Blogger interface soon enough. 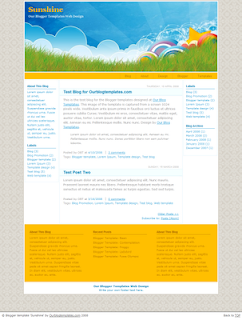 It can be moved around like other elements in the post-footer and will adapt to the color scheme of your blog template. You can customize the buttons and labels through the "Blog Posts" widget in your dashboard if you prefer to use something different to the "funny/interesting/cool" labels which are implemented by default. Tick the options box and edit the labels for your buttons as required. Then finally save this setting. Preview your template to see the "Reactions" add-on appear beneath each of your blog posts, and finally, save this new addition to your template. If you cannot find the "post-footer-line" in your blog template, search for <p><data:post.body/></p> instead, and paste the code immediately after this line. This is to ensure that the color matches the overall scheme of your blog. So if you change the color scheme through the Fonts and Colors section, the colors of your reactions will change too. To learn more about this new feature, be sure to read the announcement post on Blogger in Draft. Please let me know if there's anything else you need to know about this new feature by leaving your comments below. Generally I prefer to design Blogger templates from scratch than convert existing themes, but for Grid Focus, I made an exception. This beautiful, grid based design is among one of the best and most customizable themes I have ever used. Converted from the original Wordpress theme by Derek Punsalan of 5thirtyone.com, it features a neat three column layout, an amazing navigation bar and integrated links for the home, main-content and blog feeds. Take a look at this theme in action in the demo blog, or read on for download and installation details. All of the colors in this template can be changed from the Fonts and Colors section in your Blogger dashboard. So if you prefer to have a bright pink background and electric blue links, you can change these features with ease! In the download package for this theme, I have included both the XML template and a text version of the template. Full instructions for upload and editing of links in the navigation bar are also included in the download. If you have any problems downloading this theme, please let me know by leaving a comment below. Full support is offered in the Blogger Buster forum if required. 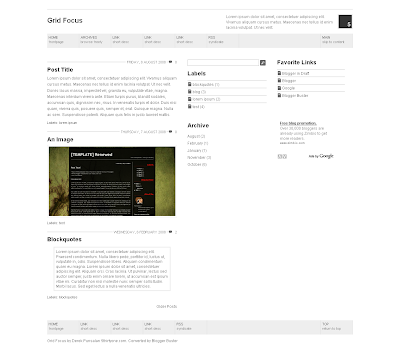 This theme is conveted from Derek Punsalan's original Grid Focus theme for Wordpress and is released under a Creative Commons Non Commercial Attribution License. This means that you can use this theme in your own personal projects, but you cannot sell this theme! Please remember to give credit where credit is due! 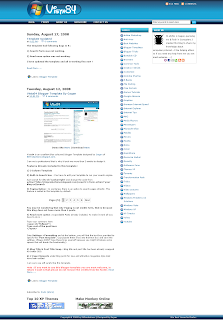 The credit link to 5thirtyone.com must remain intact in this template (this is a condition of use from the original designer). 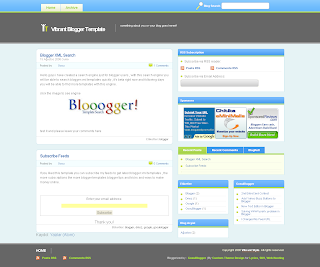 I hope you enjoy this Blogger template and find the customization options to be suitable for your needs. Feel free to tell me your thoughts and opinions by leaving your comments below. 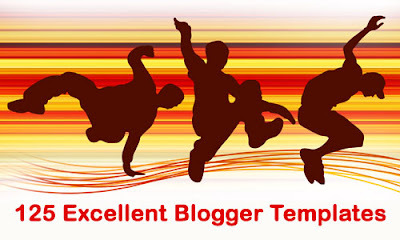 The ability to 'paginate' Blogger blogs has been a long requested feature. Pagination allows us to number blog pages like those of a book, offering readers the ability to navigate deeper into the archives with ease when compared to the 'newer' and 'older' post links. After many failed attempts, I was almost ready to admit defeat with this function until I discovered this excellent script by Mohamed of Blogger Accessories. 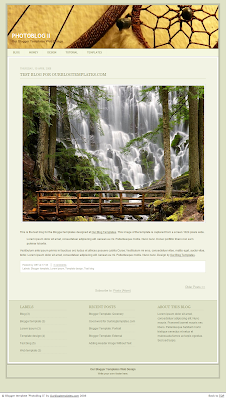 This script replaces the default blog pager (links to newer, older and home pages) with numbered page navigation. Furthermore, it offers the ability to customize the number of page links and the number of posts displayed on each page. Both of these installation methods will achieve a similar effect. I personally find adding the code directly to the template makes it easier to customize the style of the pagination links, but if you feel uncomfortable editing your template, the widget installation may be much easier for you. Once installed, these "page numbers" will appear on your home, archive and labels pages, allowing your readers to easily access pages in your archives. However, the page numbers will not appear on individual post pages. I've noticed many blogs which use pagination like this, and among them none displayed these page links beneath individual posts. To learn more about using the numbered pagination script for Blogger, pop over to Blogger Accessories to read the useful tutorials Mohamed has posted. As you may have noticed, I'm using a slightly modified version of this script here on Blogger Buster. When customizing the style of Mohamed's original version, I noticed a few elements which I preferred to change for my own preferences, and also modified the CSS for how the numbered links are displayed. If you would prefer to use this slightly different version instead, here is what you should do. This should change the colors of text and links in the pagination to match the styles already present in your blog template. So if your default text is white against a dark background, the "Pages (#)" section of the script should appear the same way. The color for the background and hover effects of the numbers can be altered according to your preferences by editing the hex values to match the style of your own template. Once you have added this code, attempt to preview your template to ensure there are no code errors. You will not be able to see the script in action on the preview, but this step ensures no adverse effects to your layout. On line 5, you may need to change the ".com" to reflect your domain extention if you use a custom domain. This default installation should work fine for anyone hosted on Blog*Spot or a dot.com domain, but you will need to alter this section if your custom domain ends in .co.uk or .info for example. In lines 19 and 20, you can change these values to alter how many posts are displayed on each page, and how many links will be visible at the same time. The var pageCount = 5; section defiines the number of posts displayed on each page, while var displayPageNum = 5; defines the number of links which are displayed (eg: 1 - 2 - 3 - 4 - 5) beneath the posts section. I hope this post has helped you learn about how numbered page navigation can be achieved in Blogger powered blogs using Mohamed's original methods or my slightly modified script. Please let me know what you think of these methods, or if you experience any problems, by leaving your comments below. If you are looking for a fresh and beautiful design to complement your Blogger blog, here is a treat in store for you! This list of 125 free Blogger templates features some of the most beautiful and functional designs for Blogspot that I've ever seen! These past few weeks, many readers have requested a tutorial for tabbed sidebar navigation, including integrated widgets for recent posts, labels and archives. 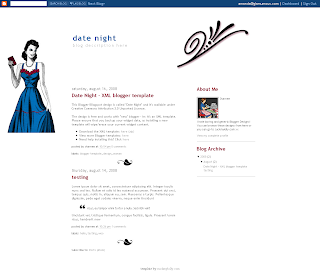 This customization is a useful and stylish method to organize widgets in your sidebar (or other widgetized area of your blog template): it reduces the space used in your sidebar, and offers readers easy access to the information they may need about your blog. So in this tutorial I will explain the method I use for tabbed navigation in Blogger Buster including all the code and CSS styling so you can customize your own tabbed widget to match the theme of your blog. One of the reasons I have delayed writing this article is because of the vast differences between template styles. It is very easy to install and use tabbed sidebar navigation, but may be much more complicated to make this match the style of your own template. For this reason, I will explain the style code I use for the tabbed widgets in Blogger Buster, along with methods you could use to change the appearance for your own blog. If you experience problems styling the widgets to match your own template, please refer to the forum thread for this article where it is easier to offer and receive support. Step One: Back-up Your Template! When customizing your Blogger template, it is standard practice to back up your existing template first! This ensures you can revert back to your working template if you make a mistake. It is especially important with this customization as you may not notice such mistakes when previewing your design. To back-up your Blogger template, go to Layout>Edit HTML and click on the "Download full template" link near the top of the page. 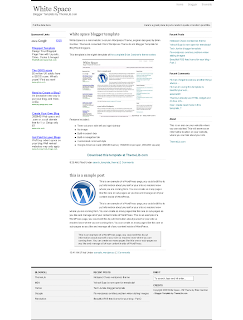 You will be prompted to save a copy of your blog template as an XML file to your computer. Be sure to save this to a location where you can easily find it if required. For this initial step of installing tabbed sidebar navigation, we will add the relevant style code. With this in place, it will be easier to see how your tabs will work. To add this style code, find the closing </b:skin> tag in your template's HTML code. Be sure to copy all of the code inside this box before you paste this into your template. Save your template at this point. For this step, you will need to find the opening DIV tag for your sidebar. However, you may need to be creative! In some templates, the sidebar section is coded like these examples, or possibly something else entirely! Again, be sure to copy all of the code in the scrolling box above before pasting this into your template. To help anyone who has experienced the "Your template could not be parsed" error when trying to copy and paste this code, I have copied all the above to a text file which you can download here. I hope this will help solve these problems for you! Now, preview your template. If you have made any errors when copying and pasting the code, you will be unable to preview your template. In this case, click on the "Clear edits" button near the bottom of the page and begin again, ensuring you have copied all of the code from the box above. Be sure you paste your code between the opening DIV tag for your sidebar and the opening b:section tag. If your installation is successful, you will see a tabbed section above your regular sidebar widgets. As you are previewing your template, the initial section will be blank. 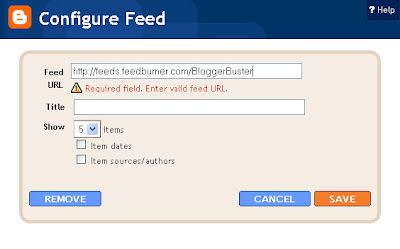 This is the Feed widget where we can add the URL for your blog feed to display these recent posts. In this instance, save your template so we can add the recent posts and perhaps change some style elements for your tabbed widget area. Once you have successfully installed the tabbed navigation code and saved your template, it's time to add the URL to your blog feed. This will enable you to display recent posts in the first tabbed section. Choose how many items to display, and then click save. This will add your recent posts to your tabbed sidebar navigation widget. Note: It is not possible to drag and drop the Feed, Label or Archive elements for your tabbed widget on the Page Elements page. These elements appear stacked on top of each other, and cannot be moved separately; this is also why the Feed widget looks different to other page elements on this page. At the moment, this is a bug of the tabbed widget. Despite many attempts, I have been unable to prevent these widgets from stacking on top of one another, and it is impossible to edit the Archive and Label widgets on this page. If anyone can figure out a solution, I would be very glad to hear from you! Depending on the template you are using, this may be the most complicated step of installation! The default style code I have offered in this tutorial will be suitable for pale templates with a wide sidebar. If you have a narrow sidebar or different color scheme, you will almost certainly need to change some elements of the style! 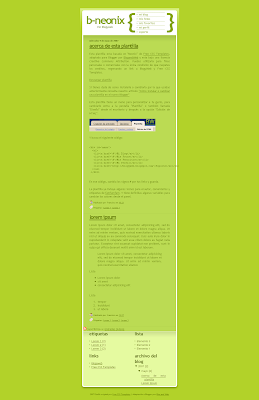 This will happen if the combined width of your tabs is wider than the width of the sidebar area. Reduce the width to a smaller pixel value. 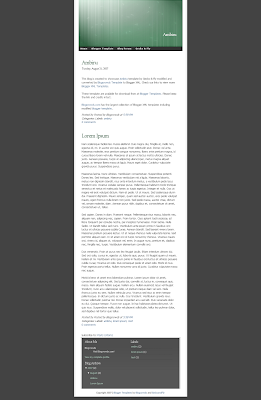 For example, if your sidebar is 200px wide, change the tab width to 60px. Then the combined width of the three tabs will equal 180px and allow for space between them. Using your browser's search function, you can locate all instances of these colors in the style section of your template and replace these with the hex values for your preferred colors instead. As I mentioned at the beginning of this tutorial, different template designs may require different methods for customizing the appearance of your tabbed widgets. To offer support, I have created a thread in the Blogger Buster forums specifically for help with this tutorial. If you need help customizing your widget, please post your questions there with some details of the template you are using or a link to your blog. It's much easier for me to post code on the forums than in comments, and also provides a means for others to locate solutions of they are using a similar template style. 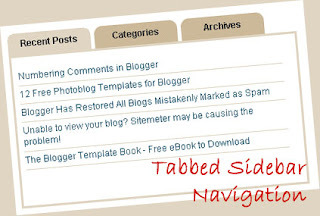 I hope this tutorial has provided a good explanation of how to install tabbed navigation in your Blogger template! Please feel free to leave your comments and opinions about this tutorial, or if you have suggestions for how this may be enhanced. 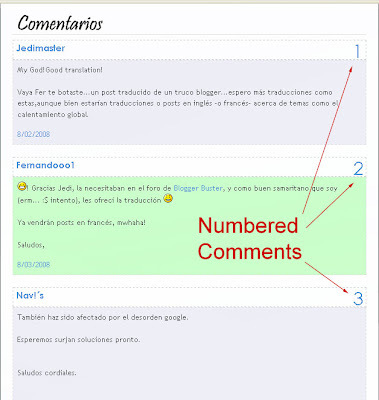 A great many readers have asked if it is possible to number blog comments in Blogger. Although I had tried many different methods, I had been unable to realize a successful and reliable method. The tutorial for numbering comments in Blogger includes the full code and technique required for customizing your Blogger template. You'll be happy to know that no external files are required: it's all achieved by some simple edits to the HTML code. 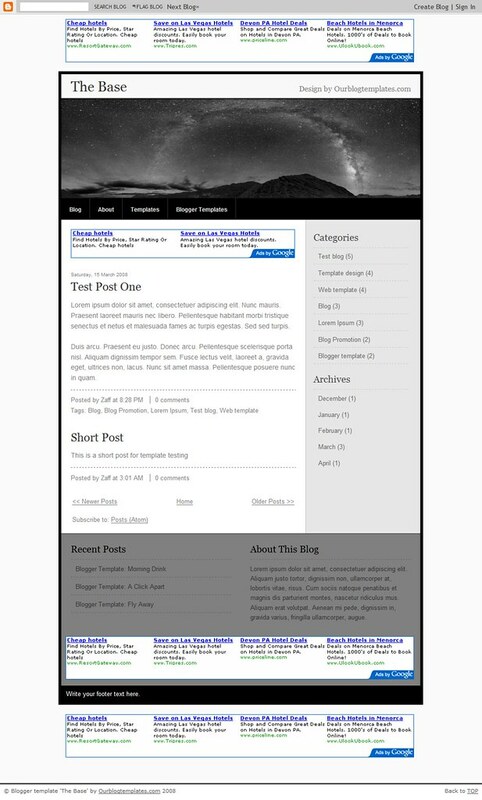 If you would like to add this functionality to your own Blogger template, please take a look at Fernandoo01's well-written tutorial. With the increased trend towards photoblogging, many bloggers seek one column templates which enhance the appearance of their photographs. 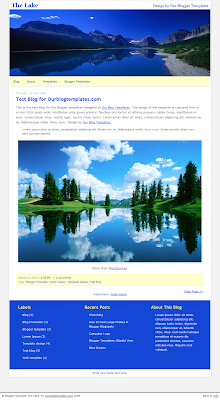 In this article, I have gathered 12 free Blogger XML templates which use the one column layout. These templates provide the perfect backdrop for photo-bloggers and designers to showcase their work. 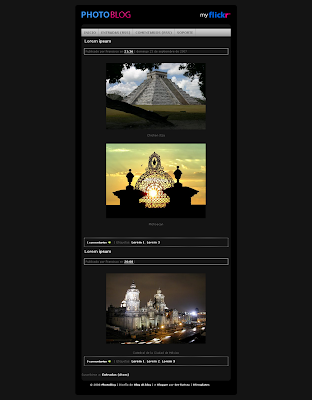 Photoblog templates tend to have a different layout structure to regular templates. Because of this, I have included full page screenshots of these templates which offers a better overall view of the template. 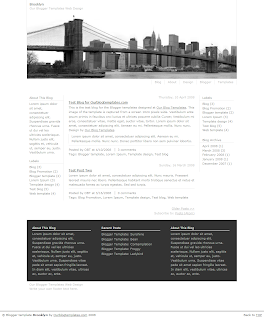 A minimalist CSS based template with three columns in the footer. 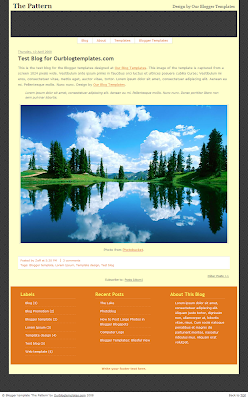 A wide photolog template which is ideal for those who prefer to display larger images in their posts. 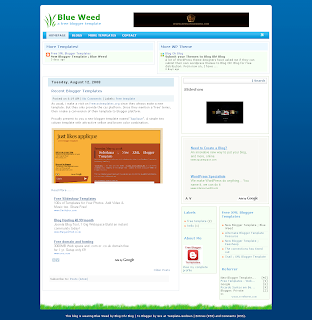 A simple blue toned template with space for widgets in the footer. This beautiful one column template has plenty of space for images and three columns in the footer. An elegant single column template with iconized links for labels and dates. 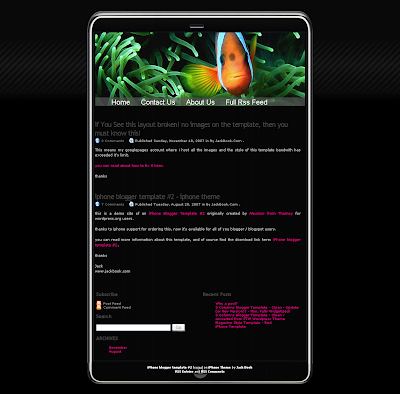 This narrow template is simple and dark with two columns in the footer for widgets. 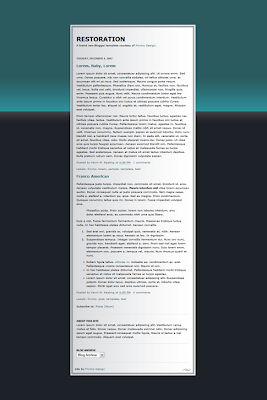 Converted from the classic Blogger template originally by Gecko and Fly. 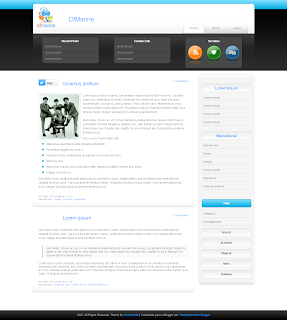 Converted from the original theme by Themey, this single column template has the appearance of an iPhone. A minimalist template accented with pink titles. Neonix would look great with colorful imagery set against this green theme. 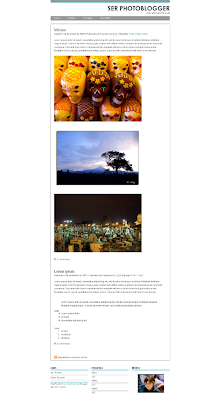 Another wide photoblog template with a simple and elegant design. A dark one column theme which sets of colorful images perfectly. I hope you enjoy this selection of free photo-blog style templates and may find these useful for your own blogging projects. 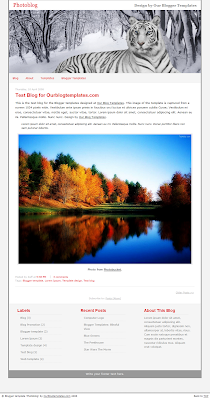 Photo-blog style templates are becoming increasingly popular, though there are few blog designers who have constructed templates in this style. If I have missed any out, or if you discover any other free templates in this style, please let me know by leaving a comment below.